Second Perini Navi yacht for a prominent Greek family, the 52m Xasteria was built by an extremely competent ship owner – and specified to his very own tastes and requirements. 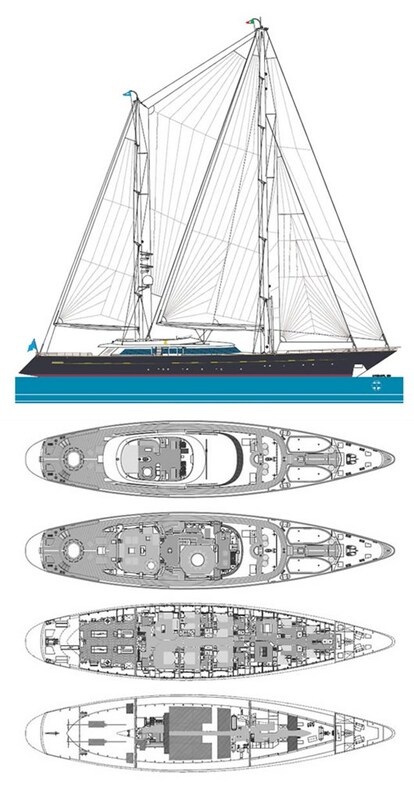 The iconic deck layout features two, first-o-a-kind recessed lounging areas on each side of the deckhouse. The lavish interiors were designed by the Owners themselves, together with Perini Navi.